We are dedicated to the health of our students—mind and body. 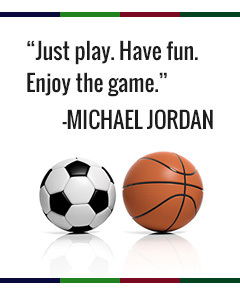 At NLA, your child has the opportunity to get involved with a variety of sports. To participate, students should complete a sports registration form, which you will find on the side of this page. Our ambitious and motivated basketball teams benefit from the efforts of our basketball coach who works with individual players helping them to enhance their skills. We offer two sessions where players have the opportunity to play in several leagues. NLA girls have the opportunity to participate in our gymnastics program. Through gymnastics, each participant builds flexibility, posture, and endurance. At the end of each year, the girls put on a mind-blowing performance portraying all of their newly developed skills. Our active and energetic soccer team receives coaching devoted to team-building and the development of each player’s individual skills. Our soccer team is involved in two tournaments throughout the year. Students learn combat and self-defense techniques with sports and exercise under the direction of a certified Tae Kwon Do instructor.